By a hazardous estimation, a hundred new songs are being composed in the Indian film soundtrack world every day. Most of them are for films in Hindi,Tamil, Telugu, Malayalam and Kannada, the languages in which most of the films are made every year. Most of the films are trash, but for the ironically beautiful music. Even though you might not understand the lyrics; the songs stand alone. Truly, there is nothing as infinite, as far-reaching as music. Here is a link to the 2005 Tamil soundtrack of Ghajini, the film is being remade in Hindi starring Aamir Khan. The music for the Hindi version is by AR Rahman though. 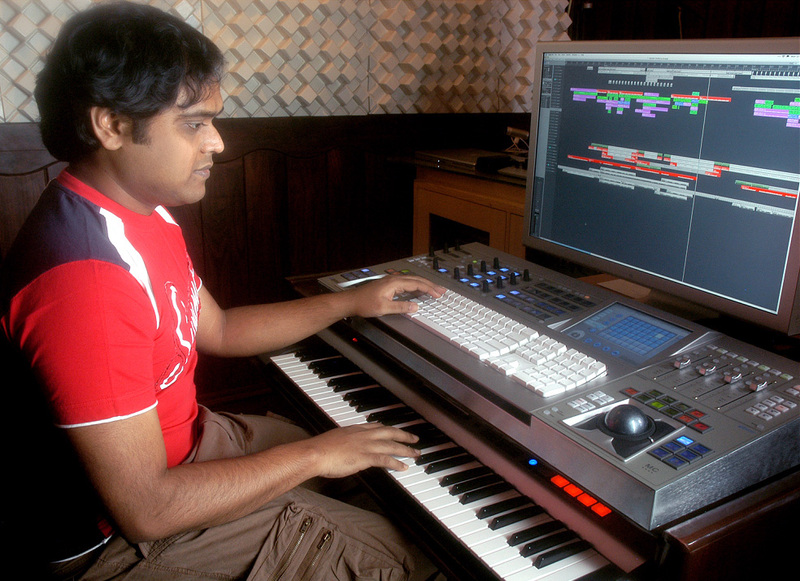 Harris Jayaraj scored the music for the Tamil version. I had heard the song way before I visited this blog. I was interested to know more about Harris Jayaraj and that's how I landed here. Not until then I knew that the composition was by him. I think North Indians need to hear him more. Tamil musicians compose for Bollywood as well as Tollywood. And North Indians are mostly into Bollywood. We don't have many choices, do we?